Don't even try to hide stuff from a Virgo, Scorpio, Capricorn, Aquarius or Pisces. Here are the zodiac signs that can read you like an open book! Virgo is the most observant zodiac sign. It's impossible to know how much they can notice about people. You might think Virgo know everything about you as a really good friend but don't be a fool. They have a lot of tricks to uncover your soul. They are like a detective, they always find a way to get the information they need. Virgo can read almost anyone like a book, thanks to their ability to pay attention to smallest details. They also tend to remember everything people say them. They are naturally analytical. They always looking for signs that may help them to read you even if you're not telling them the whole story. Scorpios won't tell everything about them to you, even if you're close friends. They like to keep their true selves closed. They tend to stay hidden and watch everyone around them. They act that way to protect themselves. They hate being betrayed and getting hurt. They are revengeful. They will always remember those people who ever hurt them. They can read you like a book thanks to their sneaky eye on you. They also have the ability to predict your next movie. Capricorns are much quieter than other zodiac signs. That fact only makes it easier for them to observe people. They have natural ability to see the real you. So, you can never fool them. As introvert individuals, they like sitting back and watch how people act. You will never realize how much they notice. They also spend a lot of time to read people's body language. If you want to share your soul with someone but think that nobody can understand you, Capricorns are the best choice. 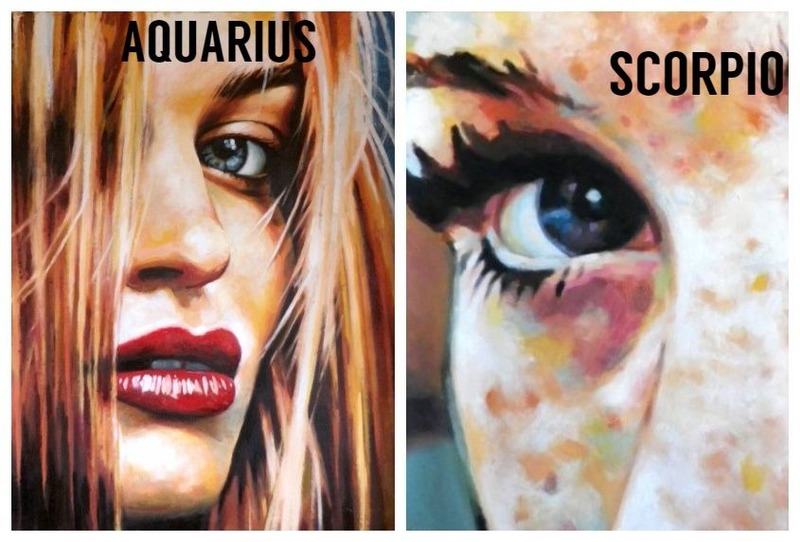 Aquarius are naturally curious zodiac signs. They tend to look for new adventures and to meet new people. Aquarius like to dive into people and read their soul. They have the ability to read people not just by what they say, but how they say it. Aquarius also pay more attention to people's body language. So, if Aquarius decide to read you, you won't have any escape from them. Because of their ability to recognize you for more than just what everyone else sees on the surface, Aquarius is able to read you like an open book. They also are curious about the environment their "victims" are in. So, they can know you almost as well as you know yourself. Pisces are known as an empath, which means they are able to understand your emotions even before you figure out what you are feeling. They are very emotional, so they know how to be sensitive to other's feelings. When they are empathizing with you, it makes it super easy for them to read you like a book. It may seem like they are in your brain in a good way. You are lucky if you have a Pisces friend. Thanks to their ability to observe they will understand you like no one else.